The phone rang right as I was heading out the door. “Hey, it’s me,” Jenn said. “Sorry, I didn’t mean to interrupt you playing with your Jyze,” Jenn said, mispronouncing the product’s name to be funny. The Jyze, a word hybrid of gyroscope and energize, works by pulling in and out with the handles to get the disk spinning. It’s designed to up the intensity of a walk and give the user added upper-body benefits. I’ll admit I did feel silly using the Jyze. But only for about two minutes. I started out on a brisk walk, pulling the Jyze in and out to get the resistance going. 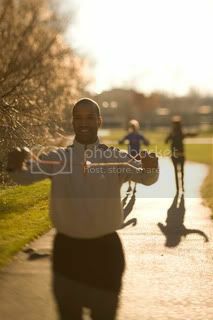 I was slightly nervous as I came up to the first test of my self confidence: a man out for a walk. I winced as I got closer to him, waiting for him to look at me, raise his eyebrow. Although I was two feet away from him, he didn’t even glance at me. He was too busy wrangling two dogs and texting at the same time to notice. Once I had that first encounter out of the way, my confidence increased. I must have passed at least 10 people on my walk: joggers, other dog walkers, people standing in their driveways. I expected everyone to turn and look at me, to hit the brakes in their cars and ask me what I was doing or if I needed help returning to the loony bin. But no one gave me a second glance. No one cared. So I stopped caring, too. 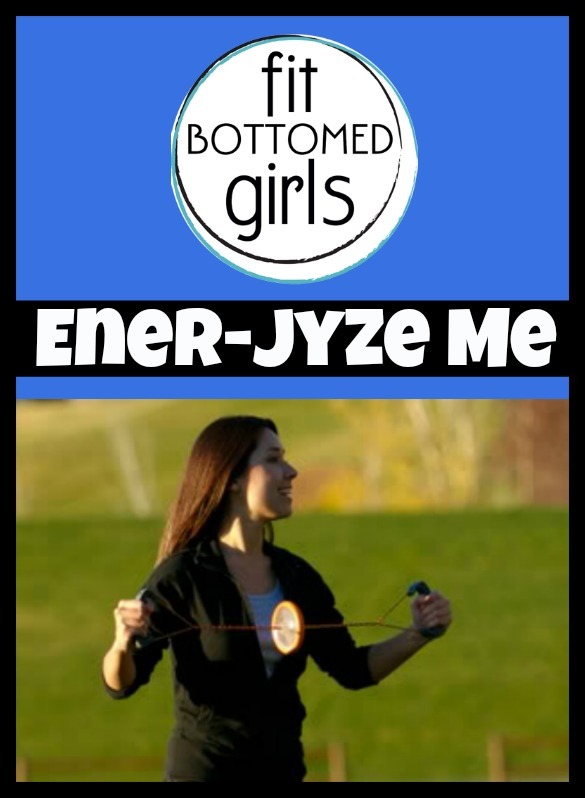 The Jyze makers say that the product provides an increased calorie burn—up to three times the calories of walking alone—and I believe it. You’re basically using a resistance band for upper-body work the entire time you’re walking, so it definitely kicks the intensity up a notch. I even had to give my arms a break several times. I wouldn’t say I felt like I’d gone on a run, but I felt like I had done more than just stroll around the block. Plus, having something to do with my hands and upper body made 40 minutes fly by. Once my hubby got it figured out, it still took me an additional 10 minutes to figure it out. I got a serious ab workout from laughing: I knew what I had to do to get it going, but I just couldn’t do it. I would pull at the exact wrong moment, so I’d lose all string momentum and it wouldn’t twist properly. I was getting so frustrated, but I was laughing hysterically the entire time. And of course, once I figured it out,I had no idea why I had so much trouble to begin with. Besides the setup, the only other drawbacks to the product were minor. My soft little hands did hurt a bit from gripping the thing so hard. I also didn’t realize how often I use my hands during a walk to adjust my iPod or earbuds, as you have to stop Jyzingto use your hands. Also, because you’re doing two things at once and are more distracted, be sure to pay attention to traffic and where you’re stepping. The workout band is adjustable though and can be adjusted to up to 30 pounds of resistance, and once the economy bounces back, its $29.95 price tag won’t seem that bad. P.S. Tune in Wednesday for our interview with the one and only Denise Austin! Want more dorkiness? How about Jenn and me at Zumba or Jenn’s bad day teaching boot camp? This looks an awful lot like a toy I used to have as a child ( back in the 80s) if it is that thing was fun, and a PIA at the same time….